As you may have noticed, we are back from our holiday break! Get ready to earn More Miles More Points and More Rewards in 2017! We hope that all of you had a great holiday break whether it was a couple days or a couple of weeks like ourselves! 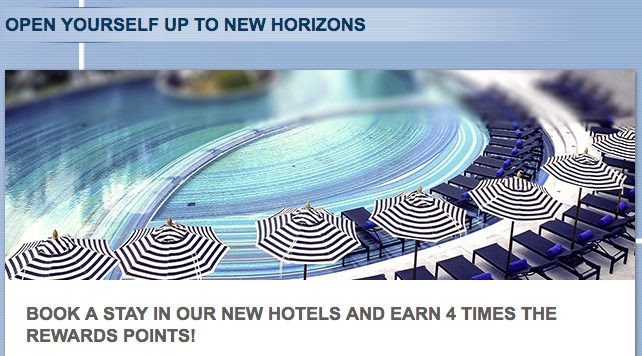 We start the year off with the first bonus offer highlight belonging to Accor Hotels. This is their standard new hotels stay bonus of quadruple points however this time they have extended the booking period beyond the typical month and have also extended the stay period beyond 2 months. There are hotels in 15 countries this time including the new Pullman San Francisco Bay. Other bonuses added today also worth checking out are BA’s Triple Avios on all flights offer, the Qatar Airways flight bonus and Club Carlson’s latest bonus where you can earn up to 100,000 bonus points.